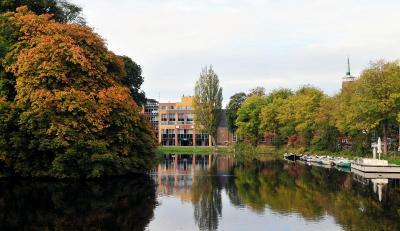 Lock in a great price for Amrâth Hotel Alkmaar – rated 8.2 by recent guests! 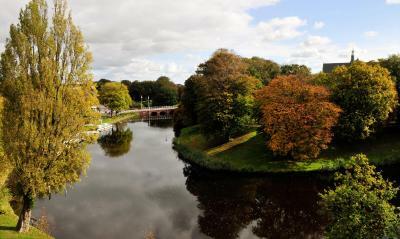 1) 7 minutes walk from the Alkmaar railway station. 2) Hotel is close to the city center. 3) Helpful staff. 4) Clean room. 5) Free WiFi. We had a nice big room with a lot of windows, staff was friendly and helpful, location was good right near the city centre of Alkmaar! 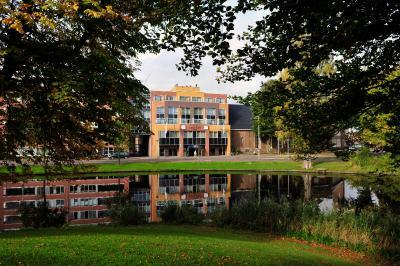 Nice place in quiet vicinity in walking distance to train station, very close to Amsterdam. Nice helpful staff, good breakfast. Nice, clean, spacious room and the staff in the hotel was very friendly!! The hotel is situated near the city center which is great if you like to explore the beautiful city. Great location, secure garage for parking motorcycle at fair cost. 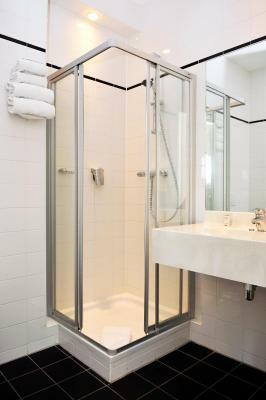 Room clean, great shower water cooler in reception for guests use. All staff helpful and friendly including the cleaners! Travelling with friends who have a baby, the hotel made every effort to make our stay enjoyable and comfortable. They added a baby bed to the room our friends who were very surprised to the size of the room and the 'spa bath' they had in their bathroom. All in all a great stay and close to town centre. We will definitely stay there again! Amrâth Hotel Alkmaar This rating is a reflection of how the property compares to the industry standard when it comes to price, facilities and services available. It's based on a self-evaluation by the property. Use this rating to help choose your stay! 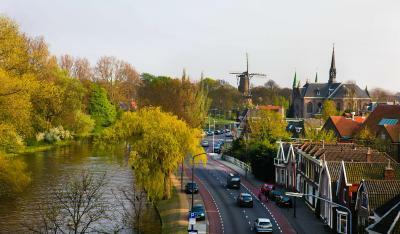 Amrâth Hotel Alkmaar is located a short walk from the city center. The train station is nearby, just as the Kaasmarkt, shops and the Stedelijk Museum. The hotel rooms have a bath, TV and mini-bar. A breakfast buffet is available in the breakfast area. There is a bar for drinks. Amrâth Hotel Alkmaar does not have a restaurant, but there are numerous possibilities to eat out. The staff will be happy to recommend any interesting places. The beach of Egmond or Bergen can be reached in a 15-minute car ride. 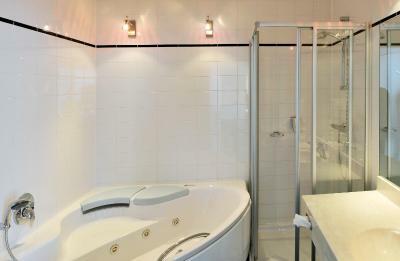 When would you like to stay at Amrâth Hotel Alkmaar? These rooms have a work desk, TV and free Wi-Fi. Private parking is available on site (reservation is not possible) and costs EUR 16 per stay. This suite has a Nespresso machine and a spacious work desk. This spacious and luxurious suite features a balcony, TV, laptop-sized safe, Nespresso coffee machine and separate living room. 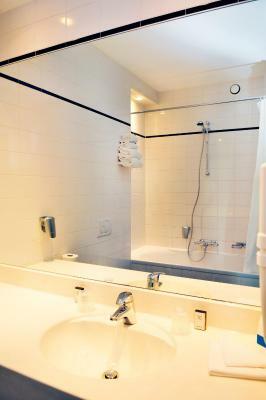 The private bathroom comes with a spa tub, shower and toilet, as well as a bathrobe with slippers. This spacious triple room is equipped with a mini-bar, a laptop-sized safety deposit box, and a private bathroom with a bath, shower and toilet. House Rules Amrâth Hotel Alkmaar takes special requests – add in the next step! Amrâth Hotel Alkmaar accepts these cards and reserves the right to temporarily hold an amount prior to arrival. Parking in the center of Alkmaar is available for a charge. Parking spaces at the hotel are also available and are limited. Reservation is not possible. Please check availability at check-in. If there are no parking spaces at the hotel, the front desk will guide you to the parking spaces nearest to the hotel. Nothing, liked it. Never took breakfast as bit expensive at €16 per person/day. 1) Prior to check-in my card was charged 50 EUR more than my booking cost. Staff told me that this sum was charged to compensate for the alcohol I might order during my stay. I was not planning to order any drinks so the staff had to cancel that reservation and charge the correct amount. 2) Floor and walls between the rooms could have been more wider. I heard the left neighbour snoring and the sound of working TV from the upper room. Although the noise wasn`t very loud. They blocked 350 EUR on my credit card, while the room was 270. I paid on the day of arrival with another card, but they unblocked the 350 EUR only ~2 weeks later! The bedroom was a bit dark with dim lighting. Very clean and comfortable. Nice view of the windmill. Easy walking distance from the centre and the station. Lighting in the room was not working well, had to change sockets ourselves because the power in some sockets was providing insufficient power. The fridge was not working either. There is nothing that we don’t we don’t like. Always love staying in the Amrath, friendly staff, comfort and great location. I ask for a receipt in the morning and the hotelstaff told me, you have booked by Booking.com so you have to ask them for a receipt. I to them that I book for years already and always have the receipt at the hotel. But I did not get one. Sorry but so bad.